At Walker Toyota, we know buying a new car can be stressful. Questions of lease vs. buy and new vs. used can lead some customers in endless circles as they decide on their next set of wheels. But, with our certified pre-owned inventory, we take a lot of the stress out of the equation. That’s because buying a certified-preowned car from us is a no-brainer. Toyota launched their Toyota Certified Used Vehicles (TCUV) in 1996, and it’s been giving drivers peace of mind ever since. 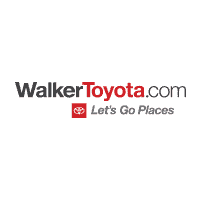 When a car is stamped with the certified label here at Walker Toyota, it means it has been thoroughly inspected and rigorously tested. You know you’re getting a used vehicle of excellent quality with our certified cars because they’ve passed a 160-point quality assurance inspection and have a clean ownership history. All of the certified pre-owned cars we sell are also six-years old or less and we don’t put them on the sales floor as certified until we know they can withstand our rigorous testing. They’re pre-owned, but they each have 85,000 or less miles on the odometer. Plus, our certified pre-owned cars are available in a wide range of sizes, body styles, and popular Toyota models. From sporty hatchbacks to pickup trucks to family-friendly minivans, there’s something for everyone. When you’re ready to learn more about our certified pre-owned program, stop by and see us on North Springboro Pike in Miamisburg. We’re convenient to the greater Cincinnati and Dayton region, including Middletown and Springboro.